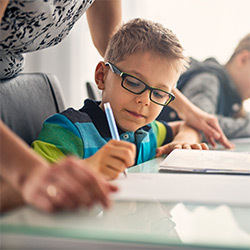 Our dedicated Education team are not only leaders in their field but they are also dedicated individuals committed to helping families get the extra help and support they need for their child following a brain injury. The specialist team provide special educational needs (SEN) advice to parents, other solicitors, case managers and other professionals. Unlike many other education solicitors we specialise exclusively in SEN, helping children with a brain injury to get the extra assistance that they need, in the school that they choose. Following a brain injury a child can present with a wide range of changes to their physical function, cognition, communication and emotional behaviour. The extend and severity of these can vary greatly and as result the special educational needs of a child following a brain injury can also be very wide-ranging. We have helped hundreds of families to secure the SEN provision that their child needs following a brain injury. Our comprehensive services include ‘health checking’ Education, Health and Care Plans (EHCPs) or Statement of SEN, appeals to the Special Educational Needs & Disability Tribunal (SENDIST), advice on what to do when a child is approaching a school ‘phase transfer’ and how to approach the Annual Review of your child’s EHCP or Statement of SEN. We can help at all stages following a brain injury, whether it’s discussing what needs to be done before a request for an EHC needs assessment is made, through to appealing against the contents of a Statement or EHCP. This can include preparing evidence, instructing experts, liaising with the local authority, schools and case managers through to drafting Tribunal documents and representing parents at the hearing. Laxmi Patel heads Boyes Turner's leading Education team. Laxmi is a highly specialised and dedicated solicitor who has helped hundreds of families get the extra help and support required for the children following a brain injury, whether sustained at birth or through injury. She has an excellent reputation within the legal industry for her sensitive approach and working closely with parents, schools, local authorities and case managers to ensure that children and young people with special educational needs and disabilities receive the support they need to achieve their education potential. 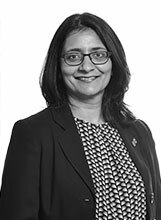 Described by Chambers Guide to the Legal Profession as ‘always very calm under pressure, very empathetic towards clients and very organised and thorough’, Laxmi is particularly skilled in working collaboratively to reach agreements that avoid the need to resort to appeals to the Special Educational Needs and Disability Tribunal (SENDIST). 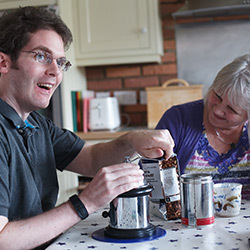 Where appropriate, Laxmi will challenge decisions and regularly achieves successful outcomes for children and young people with complex needs following a brain injury. She also has an excellent track record of winning appeals for independent and non-maintained residential schools. Laxmi regularly speaks at education events, frequently contributes to SEND publications and provides training to professional bodies, charities and other legal professionals. "You took the worry away"
"I am so happy at the outcome, I don’t think we would have had such a comprehensive service from any other law firm, and you took the worry away…I do not regret a single second of the whole process, apart from the bit before you got involved." - James' mother, Boyes Turner client. "With your help we have done our very best for Amy"